ENERGY LINE 78mm windows are characterised by a line profile highlighted by rounding of r 4mm radius. They are made of three-ply square timber which is 78mm thick. These are energy efficient windows with a frame thickness of 78mm. Such a deep profile guarantees a much better parameters for energy save than standard windows with a profile of 68mm. Energy efficiency rating of our windows has been increased by nearly 30% by using glass with thermal conductivity coefficient of U=0,7. The heat transfer coefficient Uw – ranges from 1,20 to 0,97 W/m2K. Triple glazing unit - 4/14/4/14/4 – double chambered system. Thermal insulation glass of Ug = 0,7 W/m2k. 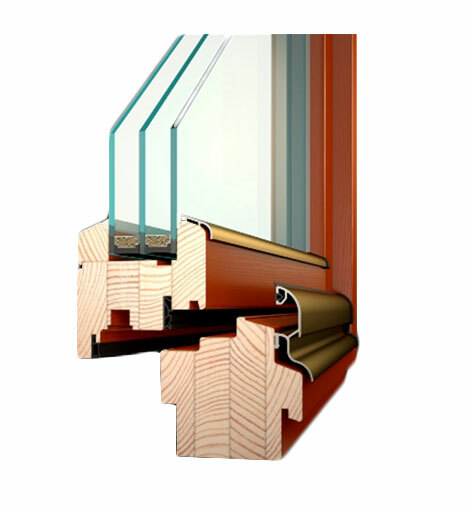 Choice of any glass panes with maximum thickness up to 50mm.